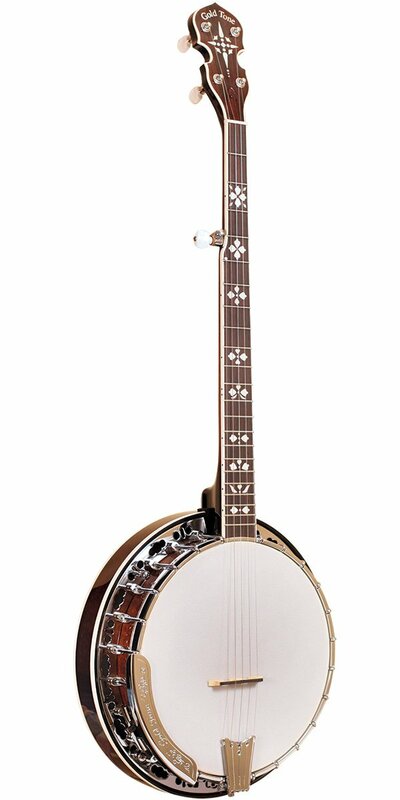 New for 2016, the Gold Tone BG-150F brings the beautiful appearance of the great pre-WW ll banjos to a new, lower price point. This banjo offers the player the lovely hearts-and-flowers fretboard inlay and the fully-bound neck and fourteen-inch resonator of the Gold Tone BG-250F combined with lightweight playing comfort (made possible by installing a quarter-inch brass-rod tone ring rather than the nearly three-pound bell brass ring in the BG-250F). Little is lost in sound quality or power, and long gigs played standing up become much more bearable.